Is Private Banking in China Still a Pipe Dream? While caution is still warranted, there are growing signs that China may get its first private bank in 60 years. On Friday, a joint statement from regulators and the People's Bank of China, China’s central bank, said they were considering – among other things – private banks on the mainland. China hasn't had a real private bank in over 60 years, and the nation's entrepreneurs are chomping at the bit for easy access to loans. This is big news for China's expanding middle class, with an equally big asterisk beside it. The statement from the central bank said: "We will make attempts to allow private capital to initiate the setup of financial institutions including banks." However, the statement fails to even give a cursory estimate as to when this may be pursued. 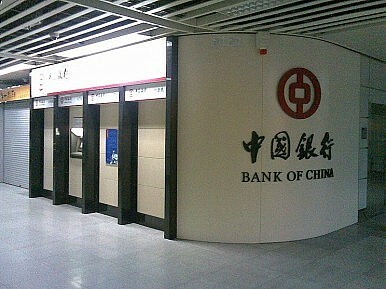 Hopes are not necessarily high that China will be able to pull off a private banking scheme in the near future. Apart from being a massive undertaking, it could cause a political firestorm. The Communist Party's tight control over the financial system is a helpful tool and one it won't let go of easily. However, under new Premier Li Keqiang, and in the midst of a complex credit crunch, the dream of a private bank in China is not as strange as it once was, largely due to China's recent credit scare. Two of China's "Big Four" banks, Bank of China and Industrial and Commercial Bank of China, recently stopped lending at certain branches and ceased interbank loans due to liquidity issues. This all eased when the central bank injected money into the state-owned banks, but much of the damage was already done. Banks like China Construction Bank Corp–the country's second largest lender–reassured the public that they had funds when the crunch supposedly peaked. According to Reuters, CCB President Zhang Jianguo told patrons as early as June 27th that, "We are not stopping giving out any new loans." While the panic is over and recovery underway, the interbank loan issues and credit crunch left small- and mid-sized companies with payroll problems, empty shelves and fears of overexpansion. The People's Bank of China could have easily nipped this minor credit crunch in the bud, but the resulting panic may have bolstered reliance on shadow banking. Shadow banking in China fills a niche for what could be perceived as borderline private lending via everything from pawn shops to underground banks. Some of it even takes place off the books at the large banks. The support of a private banking system may be the solution to this highly leveraged shadow banking market, a market that weighed in at US$2.2 trillion in 2012. But, at this point, experts worry that China's shadow banking system may be too big to destroy, even with the introduction of a private option. If the goal of the credit crunch was to further quality-driven lending rather than shadow banking, it truly backfired. Rather than frugality in the credit fracas, those who needed cash turned to the highly-leveraged shadow banks. Recently, the central bank has been trying to get rid of unregulated credit, perhaps leaving a helpful vacuum for private banks. In this equation, shadow banking may well be a red herring, according to high-ranking officials. Luo Xi, Senior Executive Vice President of ICBC, said at the DBS Asian Insights Conference on Friday that business done off the books will not impact the Chinese economy and downplayed the impact of shadow banking. The official line on the latest credit problems is that it's a result of market reform and liberalization. The past week of RMB and banking news flowing from China is proof that China's new leaders are ambitiously trying to rev up the Chinese banking and currency systems for dramatic changes this fall. Therefore, despite the recent credit problems, China's new leaders are looking for a way to cement their reputation as economic reformers, meaning that private banks may not be such a pipe dream after all. Tyler Roney is a columnist for China Power and an editor at the Beijing-based magazine, The World of Chinese. China's Tencent and Alibaba in Silicon Valley Arms RaceChina Pushes Ahead With Financial Reform… CautiouslyChina, US Continue “War of Words” on Cybersecurity The “Hidden” Costs of China’s Bad LoansIs Shadow Banking China’s Subprime Mortgages?